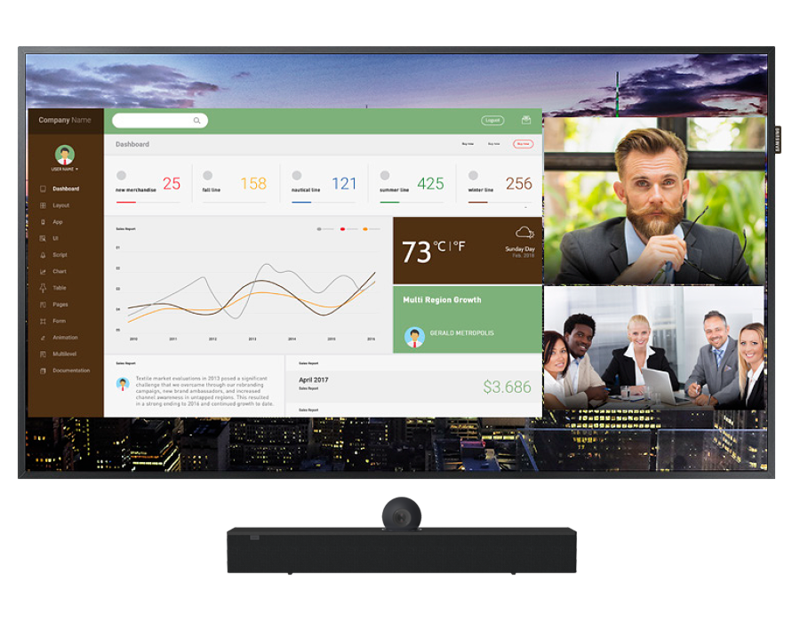 Intuitive and sophisticated, Samsung and HARMAN’s Huddle Premium solution creates new opportunities to customize collaboration. 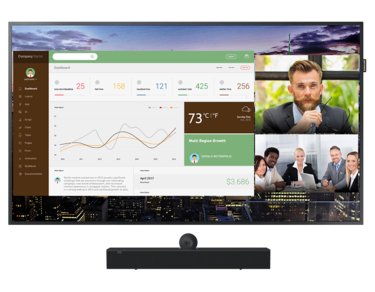 The combination of Samsung’s UHD-quality QM Series displays and HARMAN’s AMX Acendo Vibe conferencing sound bar brings meeting content to life in ways not previously possible with a basic laptop. This solution offers Bluetooth and USB connectivity that allows facilitators and participants to enjoy seamless audio, video and content streaming using their own devices. This compatibility, along with remote-free activation and crystal-clear engagement, make Huddle Premium the best choice for BYOD-friendly small- and mid-sized meeting spaces.